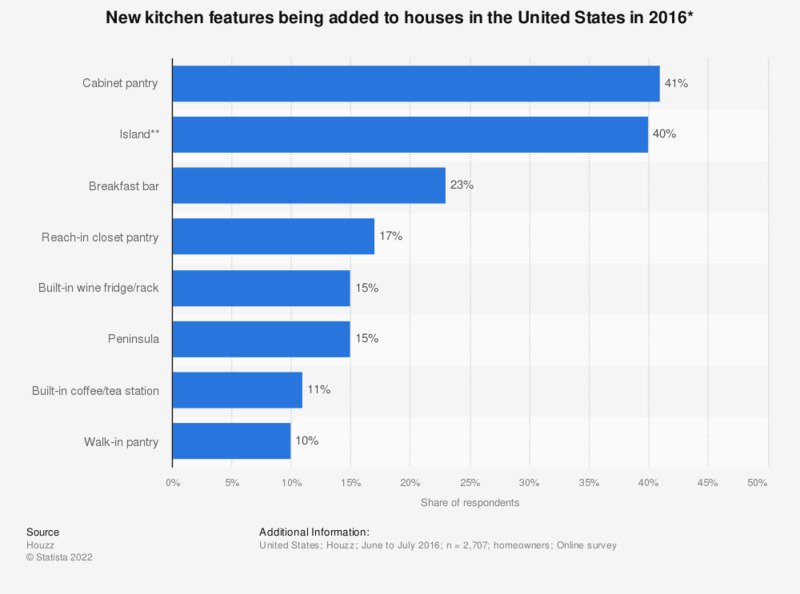 This statistic depicts new kitchen features being added to houses in the United States in 2016. The survey revealed that 41 percent of respondents are adding a cabinet pantry to their kitchen. * Percentages reflect proportion of homeowners who have completed, are currently working on or are planning a kitchen renovation during 2016-17. ** Percentages reflect at least a three percentage point increase relative to last year’s study. When renovating your kitchen, what type of sink did you replace the old one with?